Eliud Kipchoge is the new world record holder in men’s marathon! 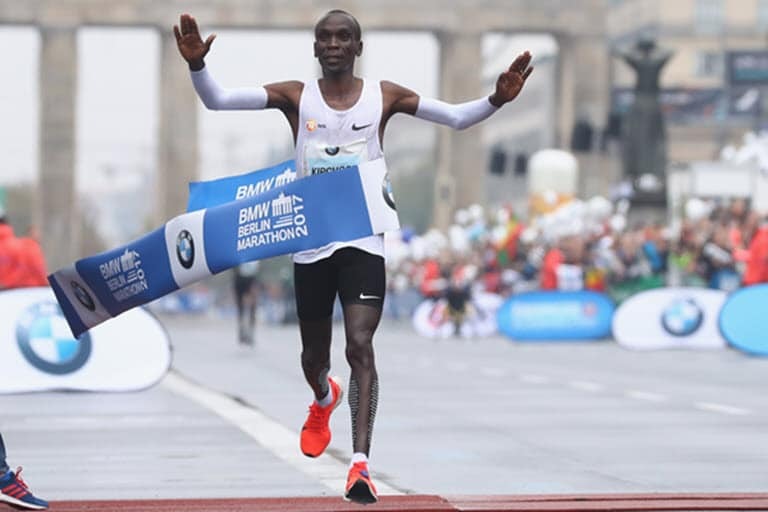 The 33-year-old greatest marathoner on earth smashed a four-year old record to set a new one in Berlin, Germany Sunday. BREAKING: @EliudKipchoge has broken the marathon world record in Berlin with 2:01:40 (unofficial). The win was his 10th in 11 major marathons. Kenyans from all walks of life joined the rest of the world in hailing Eliud, who is still a trending topic on Twitter. Opposition chief Raila Odinga urged him to continue being an “inspiration” to the youth. You have done us all extremely proud by breaking the Men's World Record at the #BerlinMarathon. Hongera @EliudKipchoge may you continue to be an inspiration to our youth through your heroic exploits in athletics. We are all extremely proud of you for flying our flag very high. Meanwhile, Gladys Cherono, also of Kenya bagged the women’s race for her third Barlin marathon glory.